A Government’s right to make legislation restricting foreign ownership of our housing stock should not be hamstrung due to free trade agreements signed up to by either Labour or National, Green Party Co-Leader Dr Russel Norman said today. 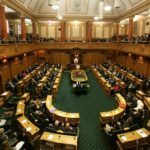 The Prime Minister John Key has received preliminary advice from the Ministry of Foreign Affairs and Trade (MFAT) that any policy restricting foreign ownership of New Zealand’s housing stock could breach free trade agreements including the China deal negotiated by a previous Labour Government. “Free trade agreements that include clauses restricting current and future Governments from putting in place laws to prevent property speculation are inherently anti-democratic,” said Dr Norman. “The debate over whether the investment provisions of the free trade agreement allow restrictions on foreign residential property investors in New Zealand shows the dangers of these kinds of investment clauses in trade agreements. 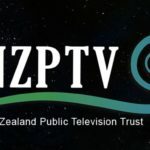 “The upcoming Trans-Pacific Partnership agreement being negotiated in secret will make it even harder for future New Zealand Governments to introduce regulations that impact on multi-nationals associated with the TPP countries, including the United States and Canada. “The Green Party supports the right of any future Government to introduce measures that will make buying a first home more affordable for New Zealanders. 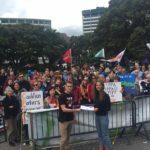 “Regardless of John Key and MFAT officials’ concerns over our obligations under free trade treaties we consider restricting home ownership to New Zealanders and permanent residents essential to making housing In New Zealand more affordable. “Our current weak overseas investment laws mean New Zealand is a good place to speculate in property for overseas buyers. “Reducing price pressure from overseas buyers is however, only part of the Green Party’s solution to making housing more affordable,” Dr Norman said.